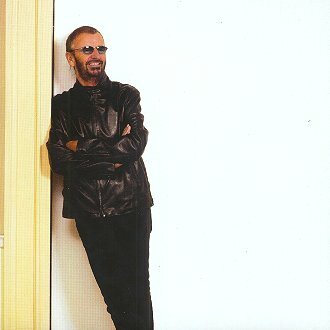 Comments : Ringo's 15th official studio album release and 28th release overall. 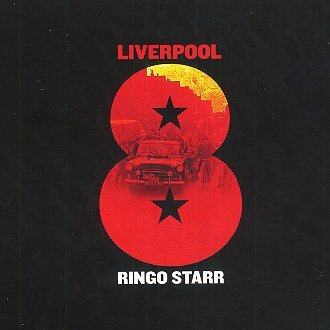 Produced by : Ringo Starr and Mark Hudson (except Liverpool 8). Re-Produced by : Ringo Starr and David A. Stewart. Mastering : Ted Jensen at Sterling Sound, NY. The set comes with a scant 12-page booklet containing just two pictures and, a song list which includes full personnel on every recording. Photography: Brian Griffin at Apple Corps Ltd. The standard CD is released in a jewelcase. 26/01/2008 - On the first week of release the album failed to enter the U.K. chart, but the following week popped in at number 91. "The drum is life. It is the sound of life within you. When the world ends, the drumbeat will sound just once for you like it sounded for me. It will sound bad or good. It will ask you if you have been bad or good; And you can answer only one way". Orchestration Arranged by : Suzie Katayama and David A. Stewart. Ringo Starr - Vocals, Drums and percussion. Ringo Starr - Vocals and Drums. Ringo Starr - Vocals, Drums, Percussion and Organ. Orchestration Arranged by : Suzie Katayama. ©2008 JPGR's Beatles Pages. All Rights Reserved.